Acquiring or buying a product or services for an individual or an organization is called purchase. The invoice or instrument serving as a medium of authentication for this process is called a purchase receipt. Whenever a purchase is made a receipt is printed. A purchase can be made by an individual from a retail outfit or a service provider. But most commonly these purchase receipts are used between buyers and suppliers. A buyer can be a retail outlet or an assembling out of the outlet. Suppliers can be distributors and raw material providers. In any scenario, for an individual or organizational capacity, the purchase deed is called the purchase receipt. A purchase receipt is a document that is kept as proof of the purchase that took place in an organization. A purchase receipt can be a handwritten note or a printed slip prepared in computer. Why is it important to give the purchase receipt to customers? Whenever there is a purchase of items by customers, the company documents it in an attempt to keep the record of that purchase. Many businesses don’t use the purchase receipt when the transaction is in a very small amount. However, it is important to bring every purchase in writing regardless of how small purchase is. The purchase receipt is issued to the customer as soon as the customer makes the purchase. It is recommended to most of the sellers to issue this receipt at the time of the purchase. The method of payment e.g by cash, by cheque or by credit card, etc. In the case of purchase between two companies additional information about whether the purchase was on credit to be paid later. This receipt is then signed by the person responsible. What are the key elements of the purchase receipt? The name of the business issuing the purchase receipt. The date on which the items were supplied to the customers. Details of the products and services purchased. Price of each product or service. Total bill the customer has paid. 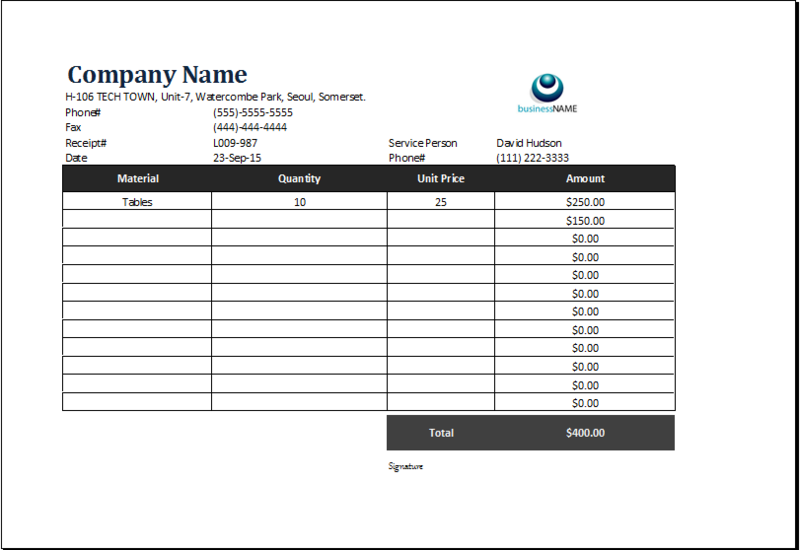 A purchase receipt is a professional looking document that requires to be created in a formal way so that the business can give its good impression. Here are a few tips that can help you if you intended to create the purchase receipt on your own. 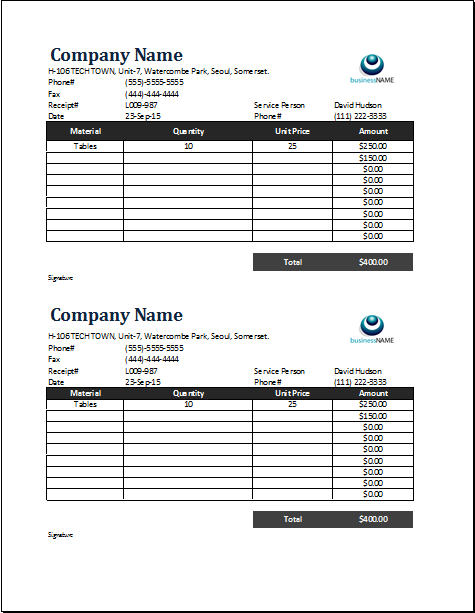 A purchase receipt template is a useful tool for such people wanting to save themselves from the hassle of making the receipt from scratch and wasting their time.